Optimus and Radio Shack 2539, 2540, 2589, 40-1101, 40-1102, 40-1331B, 40-2029, 40-2042, 40-2047, 40-2043, 40-4033, 40-4037, Nova 18, Nova 7B, Nova B, Optimus 300, Optimus 30, Optimus 45, Optimus 75, Optimus 650, Optimus 660, Optimus T-120, T120, S0153, T-30, T30, T-110, T110, T-200, T200, T-300, T300, and many more! This was a difficult fit for the set of Realistic speakers that I had. This was the second time I've done this kind of repair, the first on a pair of Ohm speakers. And that went very well. But I had to do some trimming to make this fit and it was doubly difficult because the Realistic speaker was such that the foam went behind not in front. Despite doing what I thought was a botched job, the speakers did work. But if you have speakers where the foam needs to go behind the front bevel, consider sending them in to Simply Speakers to have them do it. The foam repair kit for our Optimus 45 speakers (bought in 1986) arrived quickly. Hardest part of the whole project was removing old adhesive and foam from the speaker. 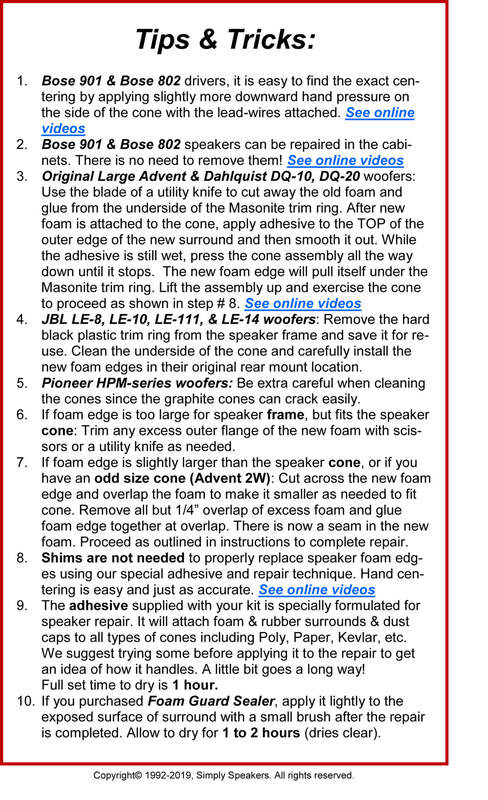 Thankfully, the Simply Speaker foam replacement video we saw on the company website did a thorough job of explaining the steps and gave us the confidence to tackle this. We trimmed between 1/8 and 1/4 inch of foam away from the interior circle of the new foam since it seemed to cover more of the speaker than the original foam did. The actual repair process was under 30 minutes per speaker not counting the one to two hours we waited for the adhesive to dry per the instructions. The speakers look and sound great after this very simple repair. Great product! 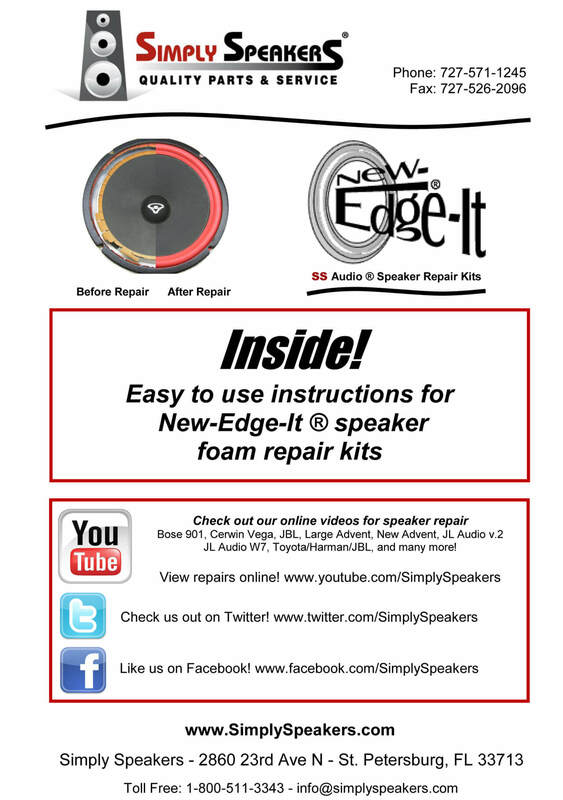 The Foam Speaker Repair Kits worked exactly liked advertised. The videos were especially helpful. 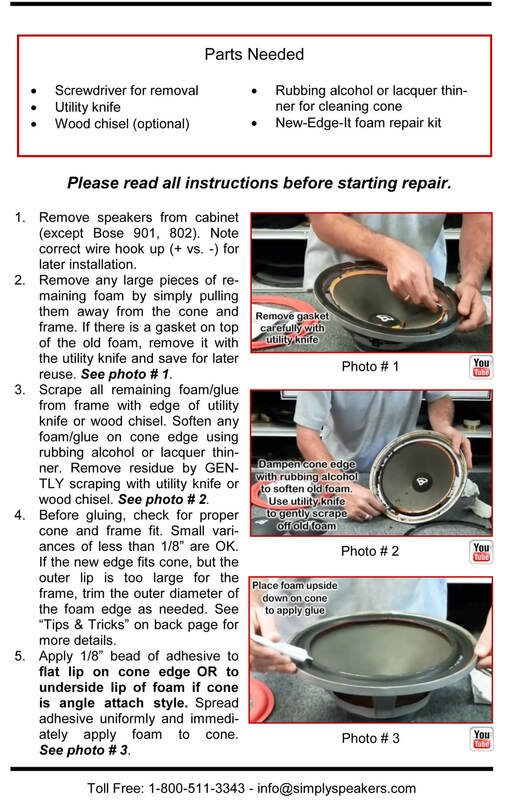 If you have speakers to repair this is the way to go. 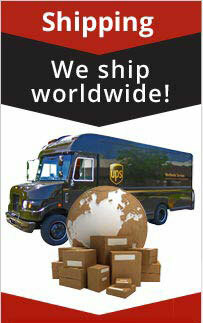 perfect fit, fast shipping. Speakers sound like new!! Thank you. Ordered new foam repair kit for my 33year old Realistic Optimus 110 tower speakers and received them in only 4 days. 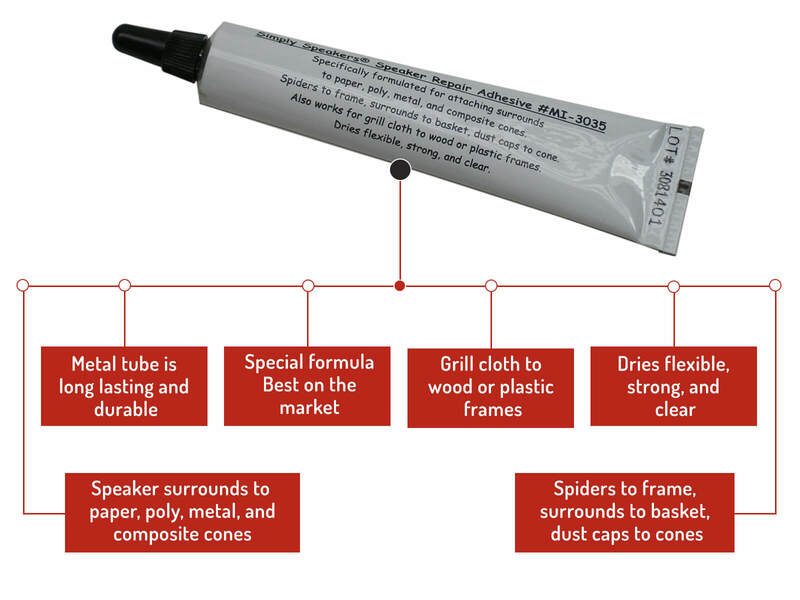 Everything I needed to repair in kit and instructions made repair easy. Now my speakers sound like new. The speaker foam kit was for my old (30 years old) Cannon TLS cabinet speakers. Back in the days of component sound system, big box speaker were the best. This kit and the video support made it simple and almost fool proof to remove the old foam and replace it with new. This fix should outlast me. I was extremely impressed with the new sound quality, my speaker have never sounded so good. Almost worth purchasing old speakers on line or at garage sale and rebuilding them. There is nothing like these big old speaker boxes with 8 to 12 inch wolfers. I have a pair of Optimus 10 speakers that I bought in 1980. The foam had completely deteriorated for years. I kept meaning to get the speakers fixed or replaced, because the cabinets are high quality. I replaced the foam on the 10" passive radiators. Watched the video, and it was easy to repair. This repair kit restored the sound to my speakers about equivalent to when they were new years ago. I was amazed at the results! 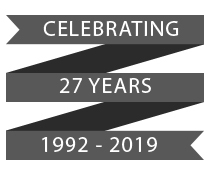 The work needed is a bit fussy and took me longer than anticipated, but the excellent video that Simply Speakers has on their website is a great help. Adjustments were needed as the foam was not exactly the same size as the original, but they were easy to make and the company representative told me that would be the case in advance of my purchase. I did have a slight problem with the first bit of glue out of the tube drying too quickly and it might be wise to discard a small amount near the cap, but there will be plenty left. 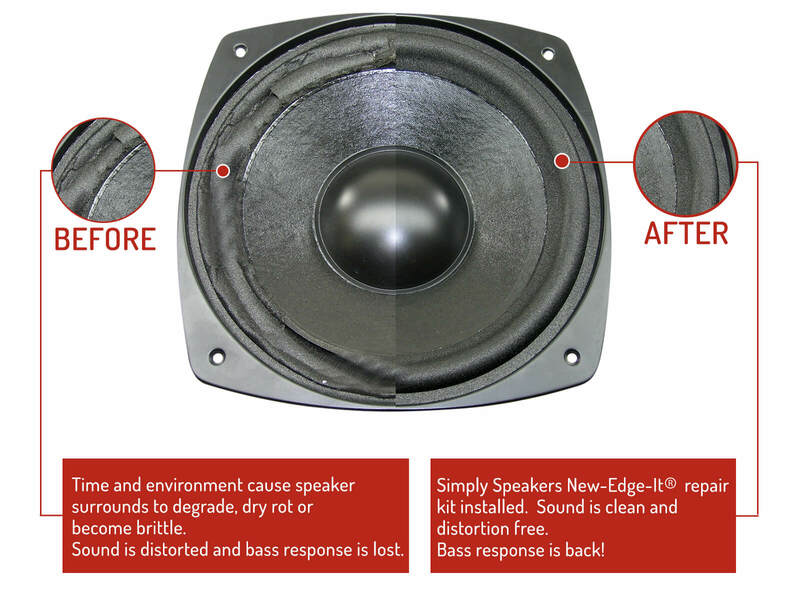 Simply Speakers was very responsive and helpful when I first inquired as to whether this kit could actually repair my speakers. They assured me that it would and they were right! 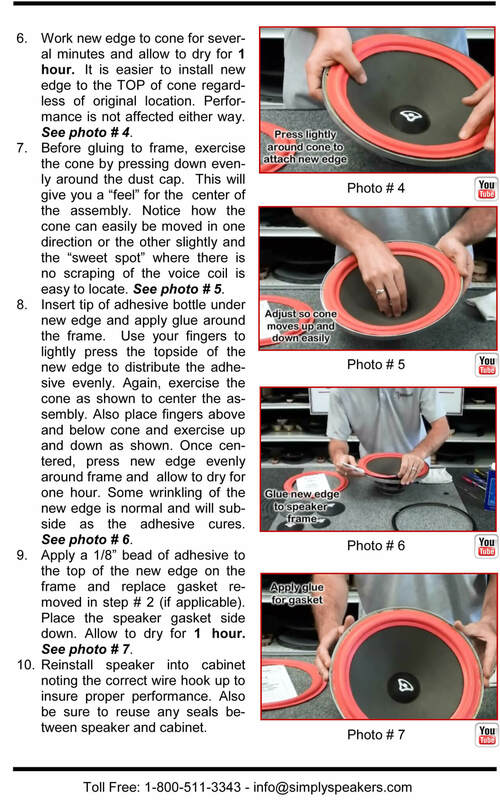 Q: Do you measure the speaker size on the diameter of the cone or where the old foam would have been? 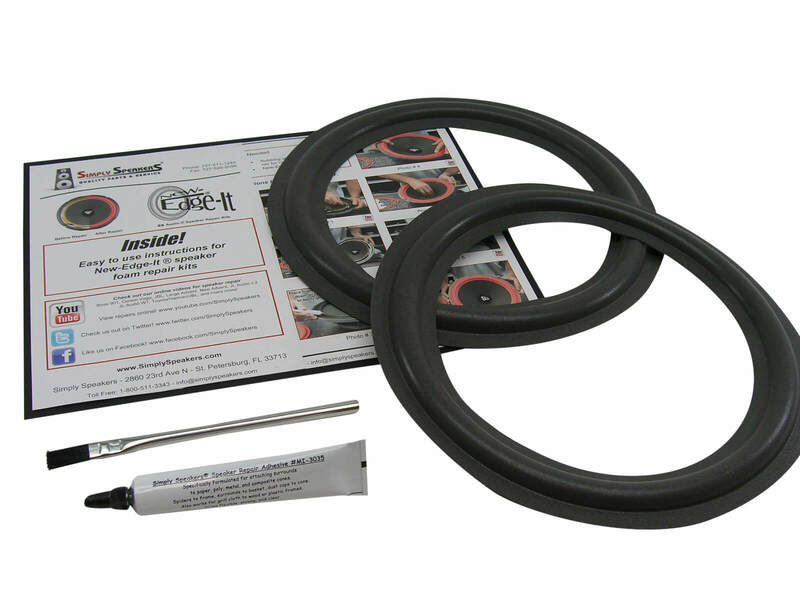 A: Measure the outside of the speaker frame to determine size and overall diameter for the new repair kit. Q: I have an old set of Optimus T10 passive radiator speakers that I'm restoring. I see the kit is for a pair. But each passive radiator speaker has 2 10" speakers. Do I need 2 kits? A: Yes, please order TWO kits for your model. Q: I ordered the FSK-10A for Realistic speakers and noticed that the previous/original foam edge was adhered to the back side of the woofer. Should I attempt to reuse this surface or attach your replacement to the front side? A: You can install the new foam to the top or from behind the cones. We have videos showing both methods. In most cases, top mounting is fine. 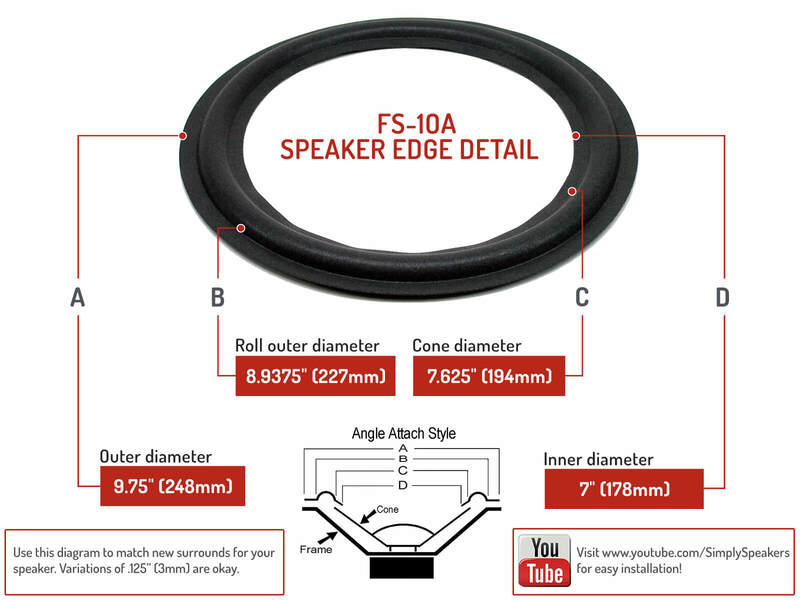 Q: What is the difference between the fsk-10A speaker kit and the fsk-10F? A: See our FAQ page for a diagram, but the "F" part number is for a flat edge cone and the "A" part number is for an angle attach cone. Realistic, Optimus, Radio Shack: 2539, 2540, 2554, 2589, 40-1101, 40-1102, 40-1331B, 40-2029, 40-2042, 40-2047, 40-2043, 40-4033, 40-4037, 40-4047, 40-1014, Nova 18, Nova 7B, Nova B, Optimus 300, Optimus 30, Optimus 45, Optimus 75, Optimus 650, Optimus 660, Optimus T-120, T120, Optimus STS-500, S0153, T-30, T30, T-110, T110, T-200, T200, T-300, T300, and many more! Note: Some models may require trimming of the outer edge of the new foam to fit the speaker frame.